We compare the results from simulations of the present and the last interglacial, with and without acceleration of the orbital forcing, using a comprehensive coupled climate model. In low latitudes, the simulation of long-term variations in interglacial surface climate is not significantly affected by the use of the acceleration technique and hence model–data comparison of surface variables is therefore not hampered but major repercussions of the orbital forcing are obvious below thermocline. 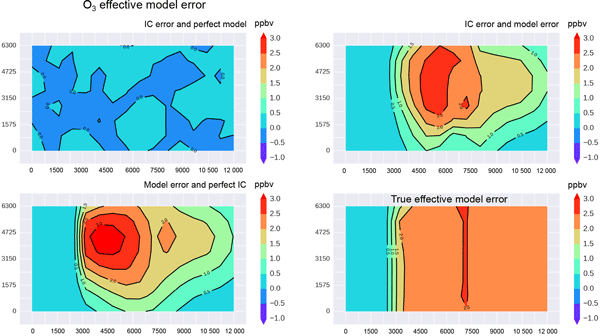 We present an approach to derive the adjoint state of the C++ coded Ice Sheet System Model. The approach enables data assimilation of observations to improve projections of polar ice sheet mass balance and contribution to sea-level rise. It is applicable to other Earth science frameworks relying on C++ and parallel computing, is non-intrusive, and enables computation of transient adjoints for any type of physics, hence providing insights into the sensitivities of any model to its inputs. This study proposed a new cloud retrieval method based on the particle filter (PF). The PF cloud retrieval method is compared with the Multivariate and Minimum Residual (MMR) method that was previously established and verified. Cloud retrieval experiments involving a variety of cloudy types are conducted with the PF and MMR methods with measurements of Infrared radiances on multi-sensors onboard both GOES and MODIS, respectively. High energy atmospheric physics includes terrestrial gamma-ray flashes, electron–positron beams and gamma-ray glows from thunderstorms. It requires appropriate models for the interaction of energetic particles with the atmosphere. We benchmark general purpose and custom-made codes against each other. We focus on basic tests, namely on the evolution of particles through air in the absence of electric and magnetic fields, providing a first benchmark for present and future custom-made codes. The nonlinMIP model intercomparison project is described. nonlinMIP provides experiments that account for state-dependent regional and global climate responses. The experiments have two main applications: 1) to focus understanding of responses to CO2 forcing on states relevant to specific policy or scientific questions (e.g. change under low-forcing scenarios, the benefits of mitigation, or from past cold climates to the present day), or 2) to understand state dependence of climate responses. Ice sheets are part of the climate system and interact with the atmosphere and the ocean. OBLIMAP is a powerful tool to map climate fields between GCMs and ISMs (ice sheet models), which run on grids that differ in curvature, resolution and extent. OBLIMAP uses optimal aligned oblique projections, which minimize area distortions. OBLIMAP 2.0 allows for high-frequency embedded coupling and masked mapping. A fast search strategy realizes a huge performance gain and enables high-resolution mapping. Crop growth and agricultural management can affect climate at various spatial and temporal scales through the exchange of heat, water, and gases between land and atmosphere. 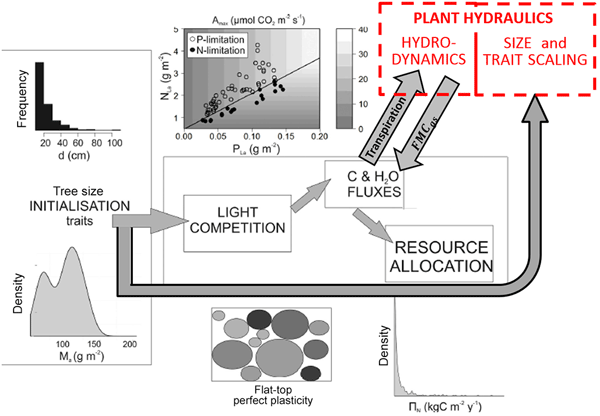 Therefore, simulation of fluxes for heat, water, and gases from agricultural land is important for climate simulations. We developed a new land surface model combined with a crop growth model, called MATCRO-Rice. The main objective of this paper is to present the full description of MATCRO-Rice. 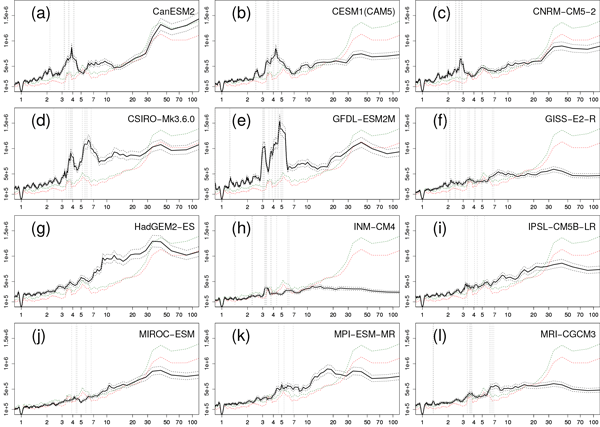 We conducted two types of validation for the simulations by MATCRO-Rice developed by Masutomi et al. (2016). The results of the validation indicate that MATCRO-Rice has a high ability to accurately and consistently simulate latent heat flux, sensible heat flux, net carbon uptake by crops, and crop yield. It is known that Earth system models have challenges to predict correct levels of soil carbon stocks. Quantification of those stocks is a prerequisite for reliable prediction of future carbon exchange between biosphere and atmosphere. Here, we tested Yasso07 and ROMULv soil carbon models against empirical data from Finland. We found that both the role of understorey vegetation and the impact of drought to decomposition should be incorporated into soil models to have realistic soil carbon stocks. Microphysical process rates, such as the formation, growth, and evaporation of precipitation, affect the variances, covariances, and fluxes of moisture and heat content. These effects appear as covariance terms within the Reynolds-averaged predictive equations for the scalar (co)variances and fluxes. Using a multivariate probability density function (PDF) and a simple warm-rain microphysics scheme, these microphysical covariance terms can be obtained by analytic integration over the PDF.